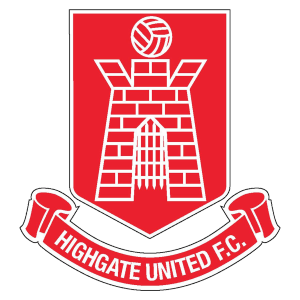 HIGHGATE United claimed a hard-earned point away to strugglers South Normanton Athletic, as they provided a much-needed response to the heavy loss to Sporting Khalsa the previous week. A 0-0 draw rewarded supporters with no goals, few chances of note and little action in the match, but the Gate claimed another point on their pursuit for mid-table safety. The disciplined performance from Highgate was all the more welcomed after the loss of discipline against Khalsa, when a frantic few minutes resulted in four red cards. Lei Brown earned a five game suspension, Shay Palmer and Sam Oji received two-match bans, and Nathan Pulisciano with a single-game suspension served at the weekend. With a JW Hunt Cup quarter-final fixture against Wellington Amateurs played on Wednesday night (7:45pm), all but Brown will be made available for the next fixture in the MFL Premier Division against Ilkeston Town (3pm). Duane Courtney, Darren Stapleton, Lee Hendrie, Scott Rickards and Todd Yahiya all came into the starting line-up, in a fixture that warranted a good performance following the aforementioned meltdown against Khalsa, and in response to a 5-1 defeat in the reverse fixture. South Normanton started well, but Gate eventually settled and almost went ahead when a Corey Currithers cross across the face of goal evaded the onrushing Marco Adaggio. Adaggio then skimmed the ball narrowly past the post with a low shot that beat keeper Curtis Hall, which proved the best opportunity of the half. The second-half was one of much endeavor and determination from both sides to get themselves in front, but one of very few clear-cut opportunities. In the end, both sides were forced to settle for a point, a just result on reflection. Highgate visit Ilkeston on Saturday, in what could potentially be the record crowd of the season against the East Midlands table-toppers. A local charity event reducing admission prices, combined with the hosts’ assault for the sole promotion spot means it could be a cauldron of noise at the New Manor Ground when the Gate step out onto the pitch. Meanwhile, Highgate’s under-21s lost out 3-1 to Football League Academy side Milton Keynes. Glen Adam’s side took the lead through Praise Anyangegbu, but found themselves under siege in the second-half on the way to an eventual loss. Assistant manager Mark Thomas was left pleased with the performance of his side against a challenging opponent. “Overall it was a good game against strong Academy opposition who play the ball around well.